Four analog CV outputs, Twelve gate outputs, a wide range of MIDI to CV mapping options at a budget price! CV.OCD is a device which converts MIDI signals to the Control Voltage (CV) and Trigger/Gate signals which are used to control traditional analog synthesizers. As well as doing this useful bit of “plumbing”, CV.OCD is designed to open up some creative options that go beyond what a simple MIDI-CV converter can usually do. It has powerful functionality for generating clock, trigger and non-note gates from MIDI information. For controlling your analog equipment via MIDI you are probably not going to get as much bang for your buck with anything else! A Gate Boost utility is available to allow the CV.OCD to trigger synths with higher voltage V-Trig requirements. Output divided and offset pulse clocks to mess with time itself! The device is configured by MIDI system exclusive patches, which you can create using a web based configuration page. Onces installed on the device, the patch is saved during power cycles. Future firmware upgrades to the device can simply be installed over MIDI as sysex files. CV.OCD has a standard 5-pin DIN MIDI input with optical isolation. There is also a 3.5mm stereo jack MIDI input which is compatible with Novation, Arturia and other devices which use a "hot tip" configuration (For Korg devices you need to use the 5-pin input). Only one of the MIDI inputs may be used at a time. Power is 9-12V DC via a 2.1mm barrel plug with negative centre pin (This is the type of supply used with most guitar stompboxes). Use a supply with 100mA (0.1amp) or more current capacity (It does not matter if the current capacity of the supply is higher). The supply must have a DC output - do not use an AC output power adaptor. The device comes FULLY ASSEMBLED and tested. Size approx 17.6cm x 5.5cm x 2.7cm. Approx weight 175g. Laser cut acrylic case with laser etched acrylic face plate. Only used it for straight midi to CV so far. Works as it should out of the box. Which is all I ask for with music gear. Nice MIDI to CV Box...does what it should do! I use the CV.OCD to control my CV-gear via the digitakt-MIDI-Tracks...and that works fine! I can totally recommend this box ...although MIDI-Through would be on my wishlist ;-). Thanks for the CV.OCD...just what i was searching for! I'm using it with two Oberheim SEM modules, so I can set to play them polyphonically, separately from different midi channels, or in unison, just by transferring a different sysex string via midi. I'm also going to use it to send triggers to my Simmons sds8 drum machine from another midi channel. Still haven't tried it with my yamaha hz/v cv controlled synths as I have them hooked up directly to my Synthstrom Deluge sequencer (another great unit! ), but I'm sure the cv.ocd is capable to pass the correct cv here as well. In all other aspects, the cv.ocd is the perfect stand-alone midi2cv controller! Even able to control up to four voices! Had it for a bit now, really solid construction, and had no issues using it so far. Very interesting product in general! CV.OCD is slim, well put together, and poewrful. This is exactly what I needed to help bridge the gap between my desktop sequencers and my pile of modular / semi-modular gear. There's no doubt that I'll be getting a lot of use out of this. The CV OCD has been working perfectly for me. The only thing I would change is making it eurorack mountable. Keep up the good work! this midi > cv power box rocks!! Very flexible, easy to configure, works flawless, wow! shipping from uk to austria was also very fast. Highly recommended. Well constructed, works out of the box. Has hugely extended my midi to cv capabilities. Essential. I'm fairly new to this world of cv and gate. Nonetheless this device was up and running in minutes. Driving 2 analog synths and triggering an old simmons electronic drum module from my daw. It is well built, is very versatile, looks nice and does just what I need. And all this for a very, very competitive price! Shipping wasn't really fast, but nothing to complain about! I'd say pretty darn good job! Bought cv.ovd to use with Zaquencer and it worked perfectly right outta the box. Previously, controlling my eurorack via Zaquencer was extremely convoluted (Zaq > DAW > Silent Way > ES-3) so being able to plug this in directly and roll within a matter of minutes was a joy. Changing the configuration was quick and painless too. I can't say enough good about cv.ocd... it's a seemingly simple tool, that's had a major impact on my workflow. 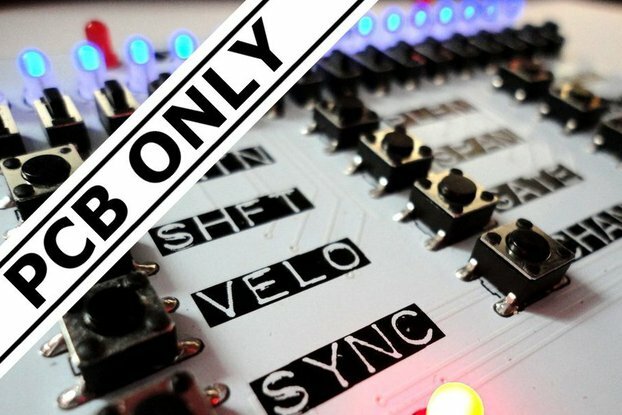 The CV.OCD is just the device I needed to connect my Octatrack's MIDI channels to my Eurorack system. It's simple and works like a charm out of the box. I'm using it to send clock signal from the OT to a Temps Utile, and also to send pitch and gate from two MIDI tracks (it could be used to send up to for tracks). Everything works just fine, you quickly forget that you're using it, which is the best thing to say of a device like this. Plug and play still existst. I use it to connect my modular to Ableton without wasting precious HP space. It worked perfectly and stays in time well. Havent tested all the options but I'm sure it is fine. Build quality also good! Got three of these to to run CVs from ableton on moog mother32, Pitts Mod Sv1 and similar synths. Found unit really well built and solid and sysex configuration very flexible. Its designed to run four synths and a drum machine. Would be great if all the outputs could could run cv via cc messages, maybe the editor might be update to do this if the unit can physically do that? I duno? That said, it was the closest thing I could find to do the job, really we thought out product. Hooked up my Digitakt via this box to my Eurorack and wow, what a difference. Was expecting configuration to be quite confusing, but it's not too bad at all and the manual is very detailed. Love this thing. Shipping was quick and good communication too! Great tool, incredibly flexible. Well constructed, and for the price, is the best option you can have right now. Really happy with the purchase, the handiest utility to use with my modular gear. I would for sure buy a second one (if my system grows to need one). The routing options (e.g. chord, cycle, gate options) are icing on the cake. A sincere thank you to Jason for making this -- it really opens up a ton of creative control that was till now untapped. I’ve only had it in the rig for a few days, and I already can’t live without it. It fills all the holes I had with transport signals and clock. I am really happy I found the CV.OCD, it's amazing! Been waiting for a small and cheap CV/MIDI device which does the job well, the CV.OCD is just perfect and includes some extra cool features, worth the wait! Top piece of kit and a rock bottom price. Great communication. Was going on holidays and asked him to post when I got back which he did as promised. Very well built and solid. All for just over €100! Roll on 8 channel version! Very flexible piece of kit! Love using it to intercept aftertouch and transmit a CV to my MS-20kit. At present I have it controlling the CV and gate of three Monotribes in polychain mode. It is a great part of an experimental synthesis diet! just zapping some new sysex code to the CV OCD, which makes it quite flexible. Best MIDI-CV adapter, great price. Best MIDI-CV adapter even compared to options many times it's price. Size, simplicity, functionality, versatility. Love it. Finally! For those of us with a pretty stable setup, this box is so great. Highly recommended, works perfectly. I was looking for a MIDI - CV device for my modular setup and stumbled upon this awesome thing! Extremely full featured and about half the price of similar functionality devices. A breeze to setup the confguration to exactly how you like it, if you've ever sent sysex to anything, you won't really need to read the manual. All in all, proper good. 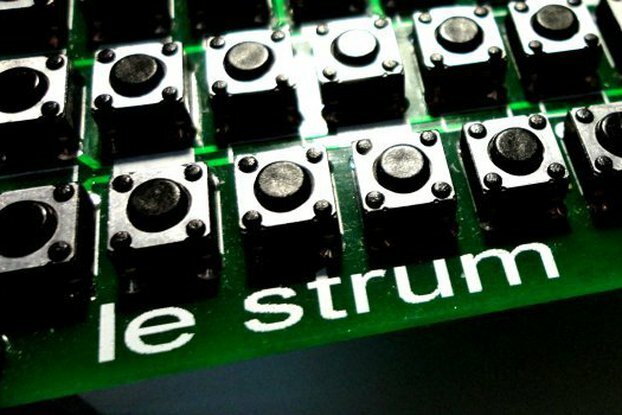 Awesome MIDI CV IO Board for Hardware Sequencers. I was looking for more cv outputs for my Squarp Pyramid sequencer and stumbled across this from my favourite Arpie 4 Designer. The flexibility of this unit is seriously excellent. It seems confusing at first as you read the manual but as you think about it and what you want to achieve it becomes a lot easier plus patching with a new sysex makes experimentation easier; though I wish someone would make a tiny hardware sysex loader, using a microsd card... But I digress. The build quality is excellent and it's diminutive size means it can fit on a crowded studio table. I especially love the ability to create trigs from cc# crossing thresholds. It's seriously awesome. I'd love for that feature to be extended with creating trigs etc when the cc was in a user defined range. To sum up Hotchkiss has done it again the cv.ocd is a well engineered triumph. I'm glad I found it, you will be too if you have any modular like equipment in a traditional midi studio environment. And a bargain to boot. Love it. Over and above all expectations! The CV OCD is well-built, and works perfectly. Fast shipping, clear documentation, and flawless support software. Excellent communication with the seller. I will certainly be ordering more products from this company. This little box is AWESOME! I love that you can reconfigure this however you want. I have it setup right now to take in 3 midi channels and output 3 cvs/triggers/gates. This lets me controll it with my Launchpad through renoise/stepp0r. Sixty four pixels make great stuff and provide impeccable customer service. This little box is similar to the Roland MPU-101 but without the disadvantages of no clock, being quite large and costing a lot and with the very significant advantage of programable outputs. Successfully converted midi input, run velocity to filter via CV (its great you can set voltage on output - really useful for controlling filter range) and used mod wheel to control portamento. And the size is a real bonus; my “studio” space is tiny. I'm in love with this little box. i sequence my modular from Logic and this allows me to have plenty of melodic / harmonic material with the four CV / Gate outs and 8 percussive elements sequenced at the same time. it's a brilliant well built solution, i might actually try to get a second one at some point. bravo! Very quality and useful product and awesome service. i would recommend tracked shipping. i give all five stars. Tons of functionality at a great price. Does exactly what I need at an incredibly low price. Front panel interface is minimal, but that is a sacrifice I am willing to make for the solid implementation, plethora of options and low power draw. Super happy about this. Price is great, shipped fast, docs are excellent, setup and UI are on point. This is a great device, thanks for making it! 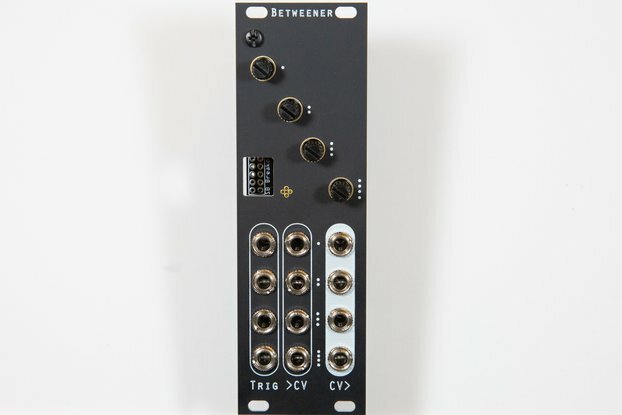 I'm using it to connect Ableton Live with my eurorack modular synth, and it works GREAT! And it is fully programmable. Thank you so much! extremely good MIDI-CV conversion for cheap! While there hasn't been a problem yet, I am a little concerned about the durability of the jacks -- they are directly mounted to the circuit board apparently, without nuts securing them to the front panel, and patch cords don't click solidly into place. I take a little extra care when patching it and don't really expect any problems though. As with many small electronic devices, I do wish it had a power switch -- but as the control center for a modular system, it's not like unplugging another cable is a big hardship. I bought this to send drum triggers from my Cirklon to Eurorack and it works perfectly. It has very well thought out options for configuration, is well built and is really small. I love it! I love Hotchk155! It does the job well, leaves space in the rack, and is configurable in pretty much any way you may desire. The power supply is the same as a guitar pedal so if you already have a pedalbay around your modular it becomes a killer choice.